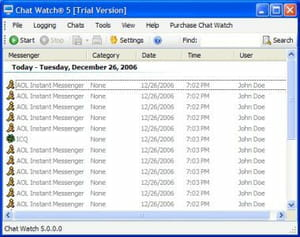 Chat Watch is a helpful program that allows you to monitor instant messaging services, such as WhatsApp, on mobile device. This could be very helpful for parents to keep an eye on their childrens' activities. Chat Watch runs in stealth mode, so the users can be tracked without their knowledge. The chat monitoring tool includes several useful features, including a chat log, advanced security, and reporting. The program logs chat sessions performed on a given device. And at any time the user can easily view all logs from a main window or only the selected accounts. Users are able to set security preferences and can also define hotkeys to control the application. Lastly, the program will send reports to the administrator detailing all sent and received messages, including other data. Latest update on April 16, 2018 at 04:09 AM.